Every branch is different! That also applies even if individual production steps are similar, the overall process is totally different. 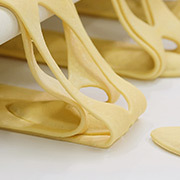 That requires the highest levels of flexibility and adaptability – criteria that are particularly important when it comes to lubricating, cleaning and preserving to ensure the forming process runs flawlessly. 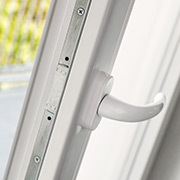 With our systems you have the certainty that everything always fits perfectly. We know the processes of the branches we focus on and how to integrate our products perfectly – no matter if they are to be integrated in existing production lines or if the entire production infrastructure is to be planned from the ground up. Fundamentally, our systems are suitable for all fields of forming and lubricating applications – but it goes without saying that emphases have developed throughout the course of our company history for which we have gained a significant level of expertise. 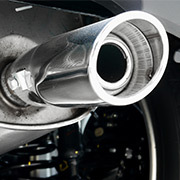 The supplier industry in the automotive sector is one of the main branches on which we focus. We work with many leading companies, indeed we have worked with some of them for a very long time. Amongst others our systems are utilized in the production of structural parts such as handles, heat shields and oil pans. 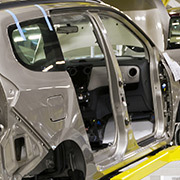 Increasingly shorter production cycles place ever greater demands on car manufacturers with regard to flexibility and process reliability. Seen from the standpoint of this target group we enjoy a particularly good reputation; we support them with precision systems to manufacture car body components and other main structural parts. 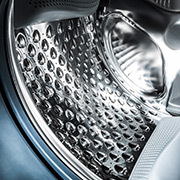 In the field of household appliances our systems are part of the mix across the entire production spectrum: when dispatching fridge housings as well as during the manufacture of stainless steel drums for washing machines. And it is also highly likely that one of our systems has taken care of the material of which your new kitchen tap is made. In this field of industry we are able to point to a special level of expertise in comparison with our competitors. 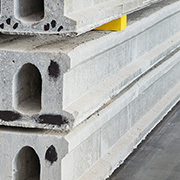 Today, concrete is a high-tech building material that repeatedly offers new options with regard to processing and usage. We supply the appropriate lubrication technology to realize these new options, for instance in the manufacture of Eternit tiles. Our consultancy skills are in high demand in this sector. Because the characteristics of the production processes are extremely individual, high levels of flexibility must be guaranteed – in particular when it comes to lubrication. We score points in this field by offering-requirement-specific solutions founded on our know-how and experience gained from different lubrication processes. Particularly strict quality demands apply to the industrial production of food, which differ fundamentally from other sectors. Accordingly, the highest levels of process reliability top the list of the manufacturers’ priorities – in particular in relation to lubrication and foodstuffs. And again we fulfil all of the required criteria with our variable spray solutions.